Middle ear infections (called otitis media), are the most common type and occur when fluid collects behind the eardrum. These infections are caused by swelling in the nose which leads to blocking the eustachian tube. Outer ear infections (called otitis externa, or swimmer’s ear) occur where there is an infection of the skin of the ear canal. These infections are caused by bacteria or, less commonly, fungi. When doctors see redness, swelling, and pus. they prescribe ear drops. Antibiotics are needed for severe cases. Inner ear infections (called labyrinthitis) result from inflammation of the inner most part of the ear, which is covered by hard bone and contains the hearing and balance nerves. These infections are rare in kids and are usually due to viruses; however, they can also be caused by bacteria, immune system problems or an injury. The main symptom is extreme dizziness. Mothers know that pain and fever are common ear infections symptoms. But they don’t know that ear infections can be diagnosed with only simple ear fluid (called an effusion). Children often show no symptoms, and the fluid is found on a routine doctor visit or when a hearing test is failed. Air normally fills the middle ear, so when fluid is present, it is always abnormal. Follow up with your pediatrician until it has resolved. Viruses cause most ear infections. Antibiotics do not treat viral infections, so many doctors do not prescribe antibiotics when children are first diagnosed. However, if a child has persistent pain and cold symptoms, parents take their kids to immediate care centers where they often get antibiotics. The more visits a child has to a physician, the greater number of antibiotics which tend to be prescribed. This does not mean it is a more severe infection. After your child has been initially seen, focus on treating other symptoms and allow the infection a chance to heal. If fever persists or pain worsens, your child will need to be seen again. But difficulty sleeping and pulling on the ear does not mean an antibiotic is needed. Severe ear infections often show fever, ear pain, or decreased eating and sleep. Some children do not show any of these symptoms, and parents suddenly notice blood and pus leaking out of child’s ear. This is a ruptured ear drum. Ear drums can rupture repeatedly but do not typically cause any permanent damage. The rupture is a tiny hole, like a pin popping a water balloon. The hole usually heals up quickly, and if ear infections recur, another rupture may happen. Ruptured ear drums release pressure that builds up behind the eardrum. If the pressure is not released by rupture or medications, more severe complications can occur if the fluid gets trapped deeper in bones around the middle ear. Children develop speech by copying the sounds that they hear. This explains why young kids learn multiple languages quickly. When fluid is trapped behind the eardrum, a mild hearing loss is present. It does not cause the deafness many parents fear, but kids will hear sounds like what we hear when we have a cold or have clogged ears while on an airplane. Muffled sounds can lead the child to repeat sounds that were heard incorrectly. It is important to follow-up with pediatrician until fluid is gone. Equilibrium describes our normal status where we walk and function in complete balance. Fluid that builds up behind the eardrum causes balance problems. In some children, this imbalance causes a delay in reaching standard milestones, like sitting or walking. Many things cause equilibrium problems; however, in children, it is important to check the middle ear for fluid before starting physical therapy or seeing a neurologist. Most children outgrow recurrent ear infections. However, after the infections are gone, some children suffer from long-term problems. If fluid was present for a long time, children may develop symptoms similar to sensory processing disorders. The ear sends information to the brain. The brain uses balance to help process other senses, and hearing is important to develop normal sensory input signals. Any long term problems with hearing or balance in young kids could lead to sensory integration problems. Additionally, after infections have resolved, a variety of physical complications may persist. Complications such as scar tissue, a chronic hole in the ear drum, cholesteatoma, and mastoiditis will be discussed in an upcoming blog post. 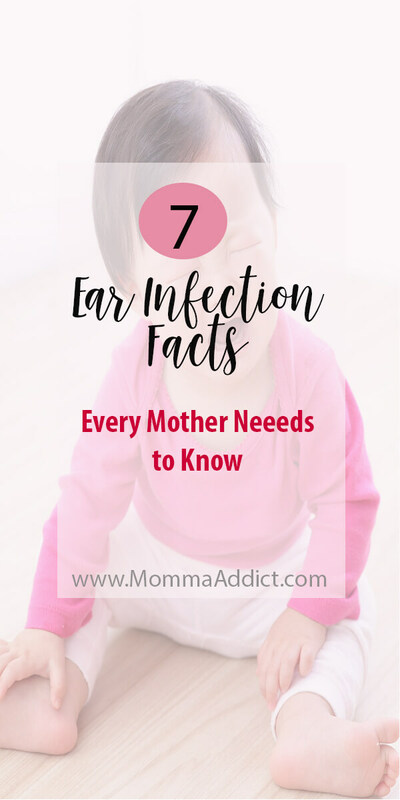 You are now able to debunk common ear infection myths, and understand these 7 ear infection facts! You should share your new knowledge with friends, family, and acquaintances. The more people who know this information, the more children will have healthier ears.